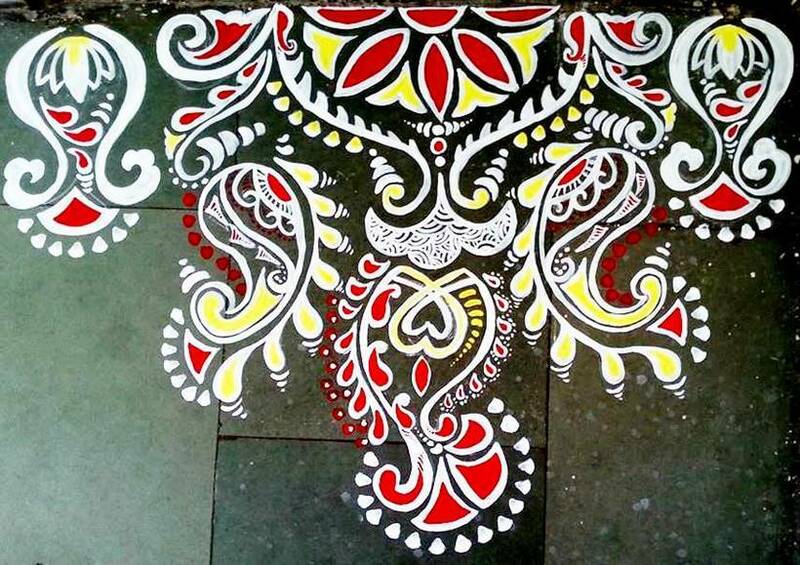 Alpana folk art is an Indian art form of West Bengal in which paintings are mainly done on the wall and floor of the house. 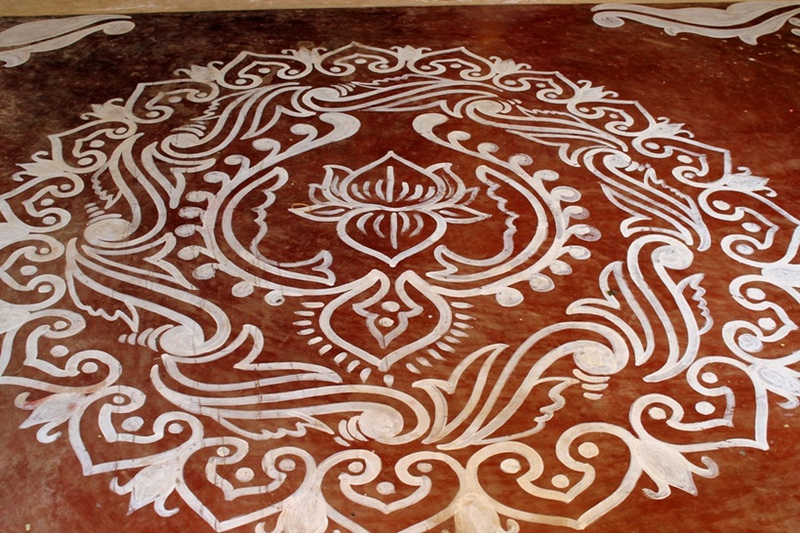 In these paintings hand is used as a brush and paint is mainly made up from the rice flour. These paintings are mainly done on special occasions and the motifs drawn are basically ritualistic images from scriptures and mythology. 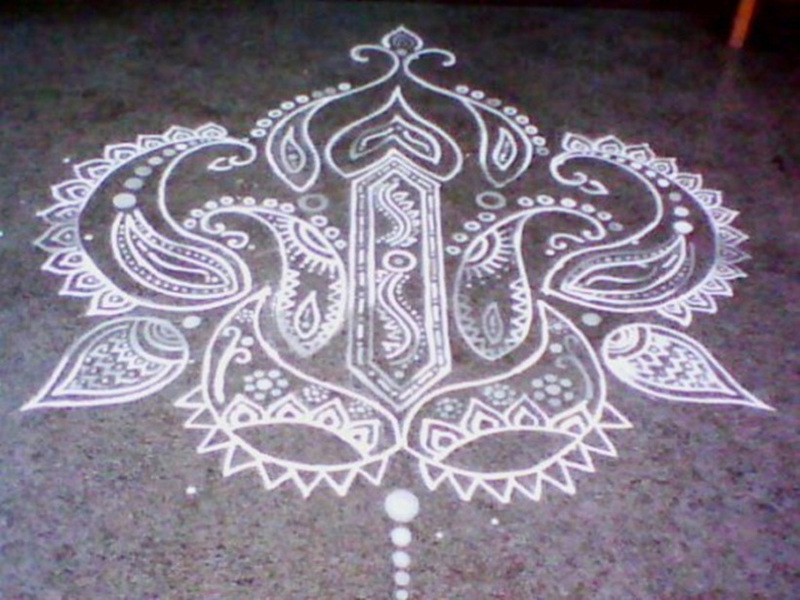 For example, this art is mainly done during marriages and other festivals before sunset. There is a belief that these paintings ward off the evil spirits from the house. Fish in the pond etc.